In addition to its core monitoring networks, the Chemical/Physical Water Monitoring program is involved in projects that are time limited with either more specific goals or serve to fill gaps in current monitoring networks. Click below on any project to learn more. 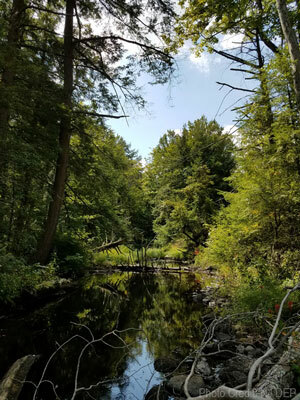 The Water Quality Monitoring Gap and Enhancement Project was established in 2016 as a monitoring effort which focuses on streams, or watersheds that are not currently included in other existing networks. 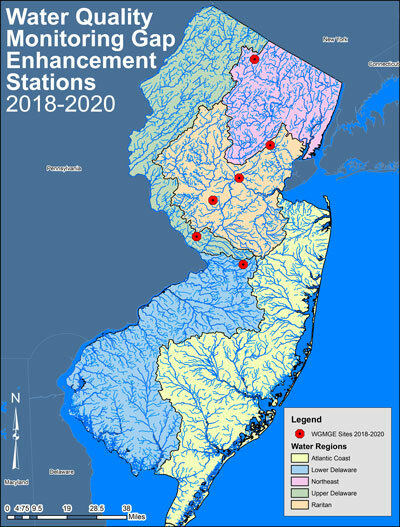 These monitoring locations could be where no previous water quality information was collected or at which previous information is minimal or dated. Investigating water bodies with suspected water quality issues. Monitoring the effectiveness of implemented best management practices. Assessing new or updated technologies and methods for future incorporation into routine monitoring work. Investigating parameters which have not been sampled previously or in some time. The current project is comprised of 11 stations. 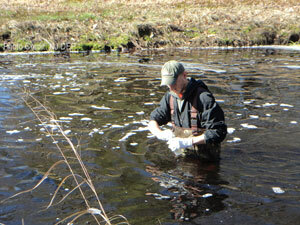 Six of the stations are being sampled 4 times/year to obtain both cold and warm weather water quality data. The other five stations are sites at which continuous monitoring will be conducted. Samples are collected over a 2-year period before moving on to new stations. continuous monitoring (data loggers or sondes are deployed to record measurements every 15 or 30 minutes to evaluate daily or seasonal fluctuations in certain parameters). To see the full list of parameters, click here. 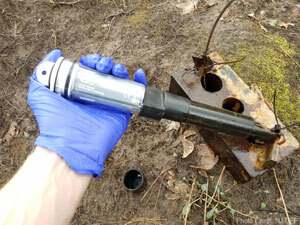 Field and conventional/nutrient samples are measured or collected at selected sites during each site visit, while metals samples are collected twice a year. Other parameters may be collected on a site/parameters specific frequency. See list of current stations to see where and when specific parameters are being collected. The Bureau of Freshwater and Biological Monitoring is currently involved with a project titled Stream Monitoring for Effects on Water Quality by Road Salt Application. 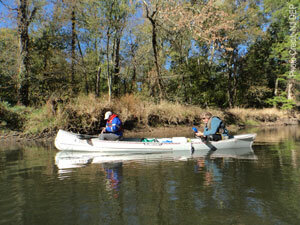 This was a seasonal monitoring project started in 2011, with monitoring that has now expanded into a year-round study. 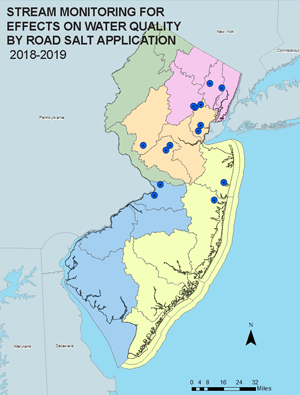 Develop a specific conductance database that will examine critical, high winter-specific conductance levels, the duration of elevated levels, and comparisons to baseline levels and normal fluctuations throughout the year in a variety of New Jersey’s non-tidal, freshwater streams. Determine how different road salting operations may be impacting total dissolved solids and chloride levels in water bodies to support potential guidelines on best management procedures. There are 14 stream sites currently being monitored for the project. 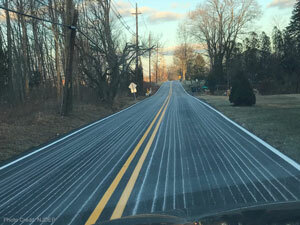 Sites were chosen because they exhibited elevated concentrations in water quality parameters associated with road salting, but needed additional data for assessment purposes. Data loggers are deployed at each of the sites which collect conductivity and temperature readings every thirty minutes. Six times a year, field parameters, flow measurements, and chloride and total dissolved solids samples are collected as well. Field parameters are analyzed immediately on-site and include dissolved oxygen, temperature, pH, conductivity, and turbidity. 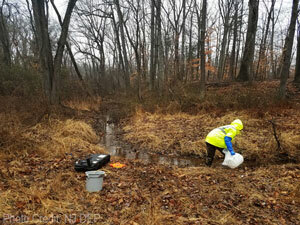 Chloride and total dissolved solids samples are delivered to the New Jersey Department of Health (NJDOH) for analysis. For a table of all parameters, click here. 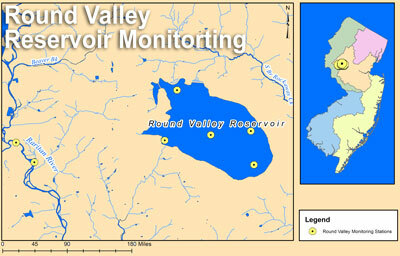 Annual monitoring at Round Valley Reservoir was initiated in 2001. "... the Commissioner of Environmental Protection shall provide for the continuous monitoring of the impacts associated with releasing water from the Round Valley reservoir for the purpose of sustaining water recreational activities at the Spruce Run reservoir." The Bureau’s sampling efforts at the reservoir aim to monitor potential water quality effects, in particular nutrients, that the release of Round Valley water may have on the Spruce Run Reservoir. 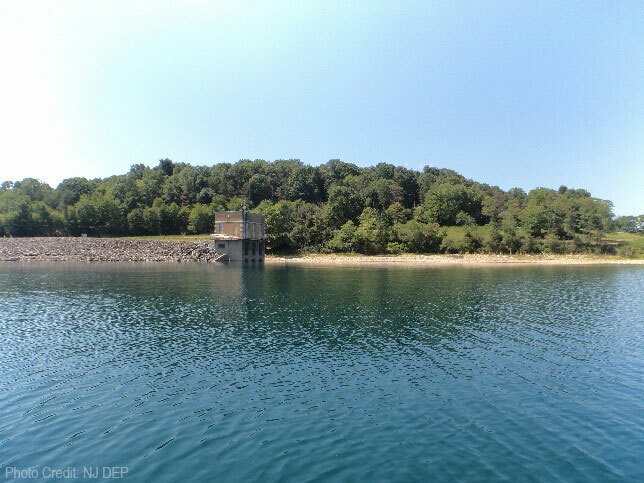 The current monitoring design for this project includes five sampling locations within Round Valley Reservoir and one sampling location on South Branch Raritan River upstream of New Jersey Water Supply Authority’s intake pond. Samples are collected once per year during the summer. 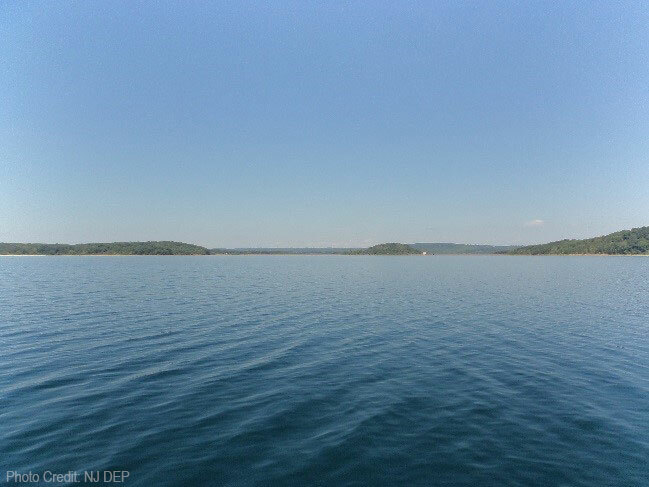 Additional samples are collected at all six stations and from the intake pond if New Jersey Water Supply Authority begins pumping water into Round Valley Reservoir. Parameters for Round Valley sampling include field parameters which are analyzed on-site (e.g., dissolved oxygen, pH) and conventional/nutrient parameters (e.g., phosphorus, total suspended solids). Click the button below for a complete list of parameters. Monitoring of the reservoir will continue through the Round Valley Structures Refurbishment and Resource Preservation Project. This project aims to rehabilitate and improve the reservoir’s existing structures to bring them up to today’s design standards. Work to strengthen the dams of Round Valley in 2019 will require the partial drawdown of the reservoir. More information on these improvements can be found on the project’s website.